Max Beckmann from Private Collections, May 1-June 22, 2018 - News - Richard L. Feigen & Co.
With figurative painting ascendant, exhibitions of the great German painter Max Beckmann (1884-1950), are always inspiring; especially those that include rarely exhibited or reproduced works. Such is the case with “Max Beckmann: From Private Collections” at Richard L. Feigen, a selection of 18 paintings and drawings that celebrates the gallery’s relocation and its new partnership with the longtime private dealer Puppa Sayn-Wittgenstein Nottebohm. 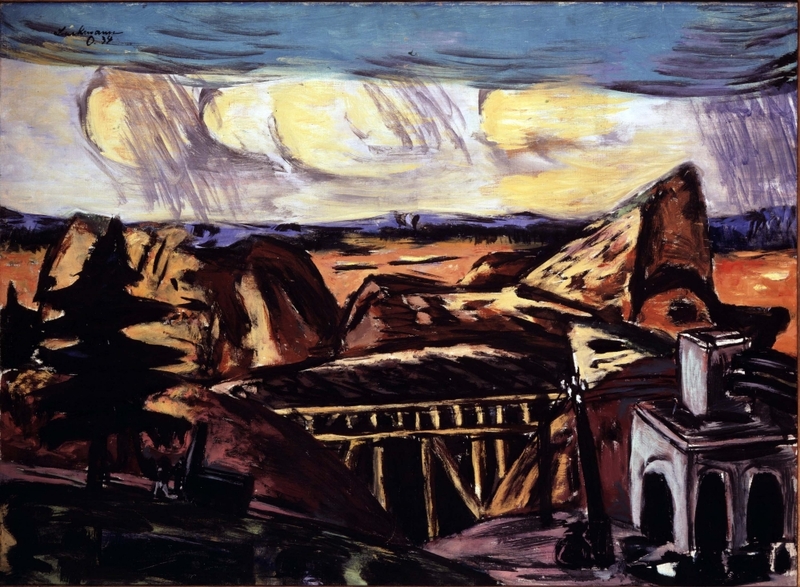 The landscapes, portraits and figural compositions here span 1920 to 1948, but concentrate on Beckmann’s years in Frankfurt, one of his most inspired periods. As usual, the intrinsic aliveness of Beckmann’s art — his play of emotion and structure, of surface and color — thrill and unsettle. The resulting tensions may be too complex for the term Expressionist; the work has classical underpinnings and a harsh yet elegant decorative sense. These tensions pervade the small, seemingly benign “Still Life With Burning Candle” from 1921, with its taut shapes and repeating ridges of vases and tablecloth, as much as the overpowering “Large Quarry in Upper Bavaria” of 1934. Its deep view of a rived terrain in browns and shadowy blacks is relieved by an interval of sun-dappled clouds and scattered rain showers, culminating in a band of leaden sky. The equally magnificent landscape, “Baou de Saint-Jeannet” (1947) is altogether different: shallow, claustrophobic and as richly colored as stained glass. It perfectly demonstrates Beckmann’s use of black to empower his forms, creating an alluring mysteriousness of mood and image.